A benefit concert for Mayon eruption victims and Villa Marillac Home for the aged. 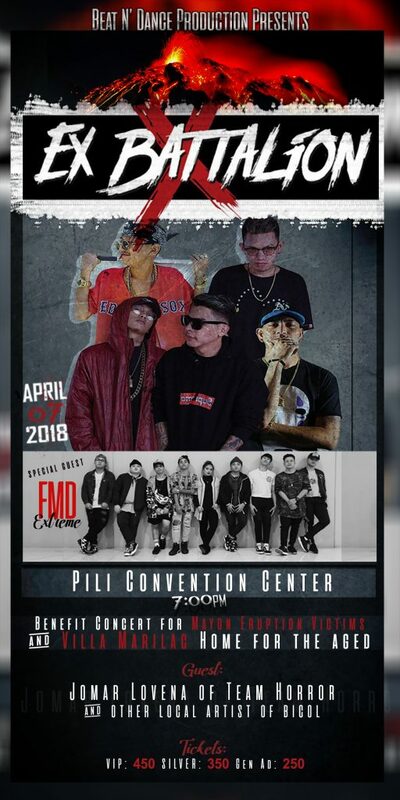 Featuring local artists, FMD EXTREME, JOMAR LOVENA and EX BATTALION. Brought to you by Beat N’ Dance Production. for updates on the release of tickets.